The most popular digital singles on the Web compiled from an internet sample by Top Internet Singles Downloads/Sales from providers/sites: iTunes Apple, Amazon, ArtistDirect, EBay. 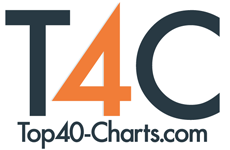 The chart provided by Top40-Charts.com every Saturday. Never Leave You - Uh Oooh, Uh Oooh!